Q: What are professional cultural consulting services? A: We have dedicated considerable time to formal education, informal learning, professional research and active practice. This type of know-how is the cornerstone to a successful initiative where cultural content and especially audiences and public matter. Each initiative or project is carefully analysed and the expertise relevant to reaching its goals are brought on board. Please CONNECT with an inquiry to explain your needs and request a quotation for our services. Q: Do you only operate in Bulgaria? A: Services can take place in Bulgaria, in the Balkan region, Central, South, East Europe or globally. Intercultura Consult operates from Bulgaria which is hosting the Presidency of The Council of the EU in 2018. Q: Have you realised pro bono projects? A: Yes, on exceptional basis, when an artistic or creative project has captured our attention for its courage and audience appeal, we have backed it up. Two examples are: The public arts project "0" realised in 2014 in Plovdiv (ECoC 2019) and the The Golden Apple animation series of Studio Zmei. Intercultura Consult commissioned fragment 28 of the temporary public arts installation "Project 0" in 2011. The author proposed "0" as a project generated by the space itself and the people who inhabit it. 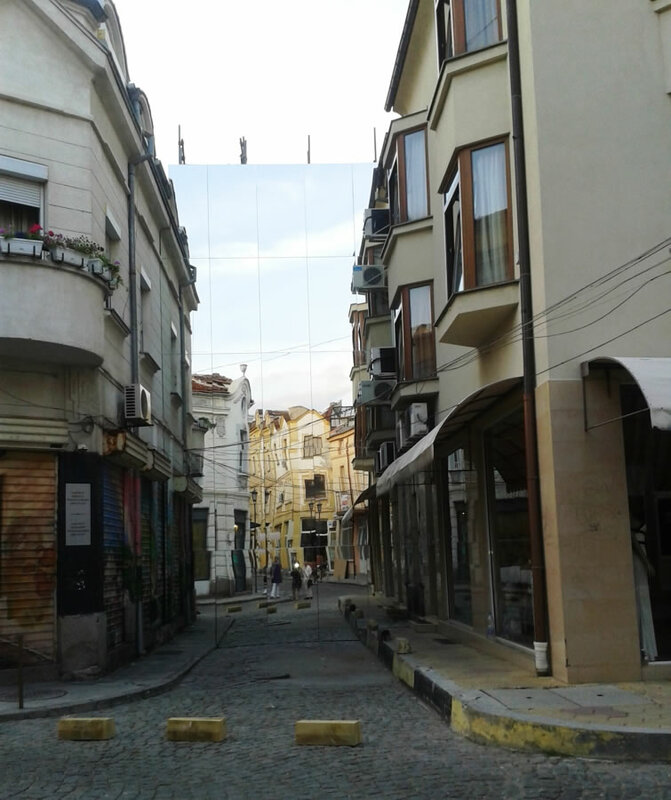 A double mirror wall constructed of 50 fragments was mounted in the middle of a street at the Kapana quarter of Plovdiv in 2014. In September, 2015, we entrusted ICC's fragment 28 of 'Project 0' to the specialised Computer Technology and Systems College in Pravetz, Bulgaria. Its public now are the students who work in creative processes lead by the college professor Ms. Ivanka Mancheva.